You might have suspected it but the Sony leak confirmed it: even some of the studio's employees don't think too highly of Adam Sandler and his comedic output. 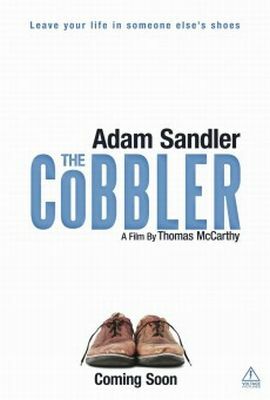 As for The Cobbler, it seems that the internal opinion matches that of outside spectators because the feedback of audiences and critics was devastating for the newest comedy. Maybe that's another reason why it was dumped as direct-to-video release in several markets already. This film was originally seen for advice, at which stage the company was informed it was likely to be classified 15 but that their preferred 12A could be achieved by reducing two scenes featuring blood and injury detail. When the film was submitted for formal classification, these scenes had been reduced acceptably and the film was therefore classified 12A. We'll have to wait and see whether this censorship finds its way onto the DVD and Blu-ray later on. There's no way to predict that for sure in these times anymore.